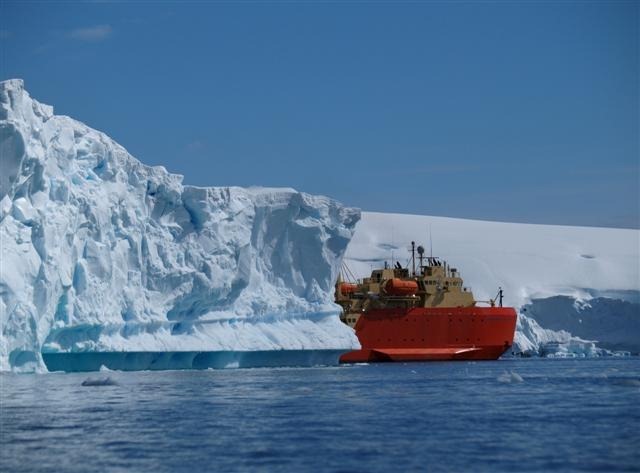 So this year I am off to see a different part of Antarctica and learn about a new (well for me) station and the research vessels. I am so excited to spend three weeks with marine biologists! It’s been far too long since I have gotten dirty from fieldwork. I will be flying (commercial carriers) to Punta Arenas, Chile. 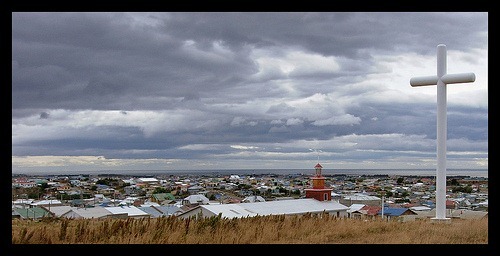 Punta Arenas is in far Southern Chile, by the Strait of Magellan. Like some of the best places in the world, Punta Arenas started as a penal colony… and then folks heard how beautiful it was. By the 1900 it was a booming city. I hope to have time to explore the city and post photos. 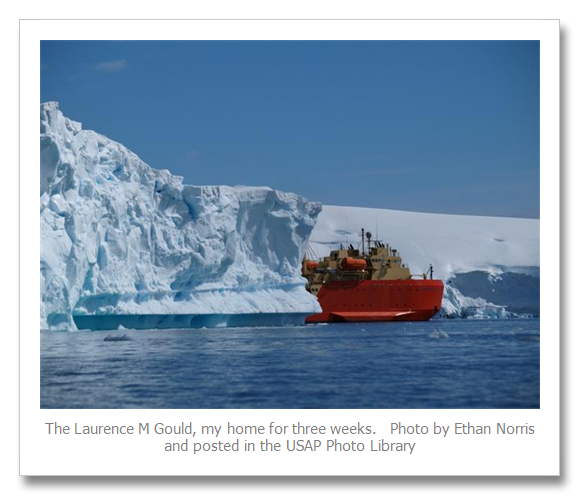 In Punta Arenas, I will board the Research Vessel Laurence M. Gould. The ship will stay in port for a few days getting ready for the research cruise and then I will be sailing with members of the Palmer Long Term Ecological Research Program and the Antarctic Site Inventory. 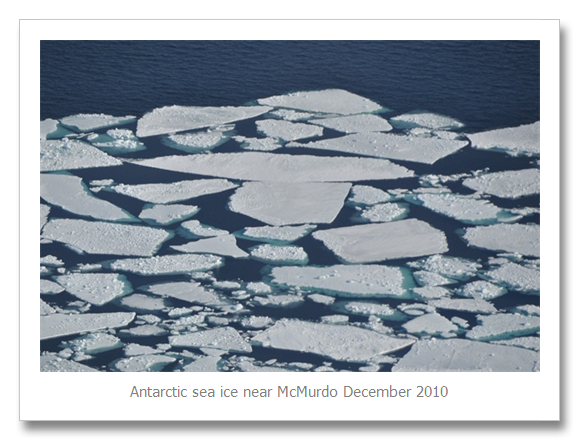 So I will be travelling with some of the leading experts in Antarctic Peninsula Ecosystems! That’s right I will be in nerd heaven. 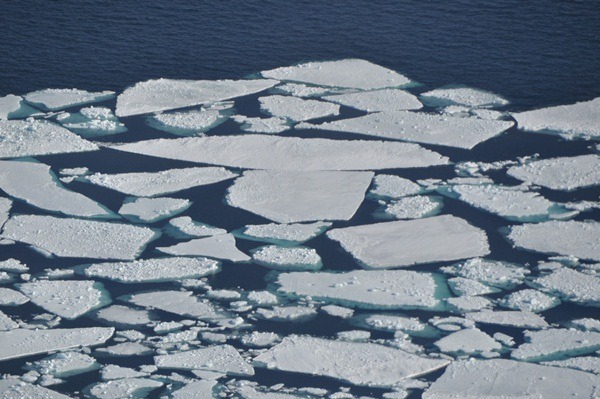 The cruise will take us across the dreaded Drake Passage, through the waters of the Southern Ocean off the Western Antarctic Peninsula and to Southwest Anvers Island and Palmer Station. 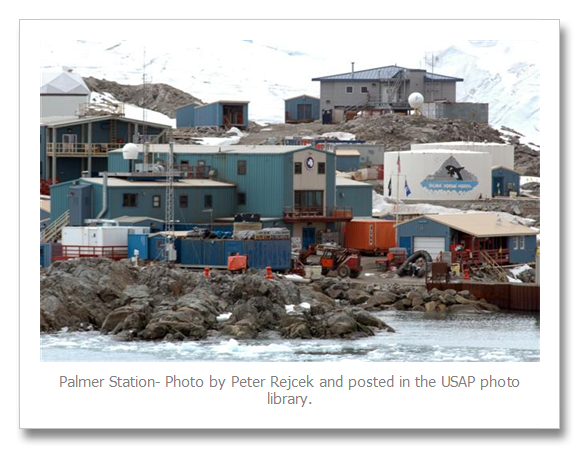 If the weather allows I will get a few days to explore Palmer Station and learn about the research that is done there. 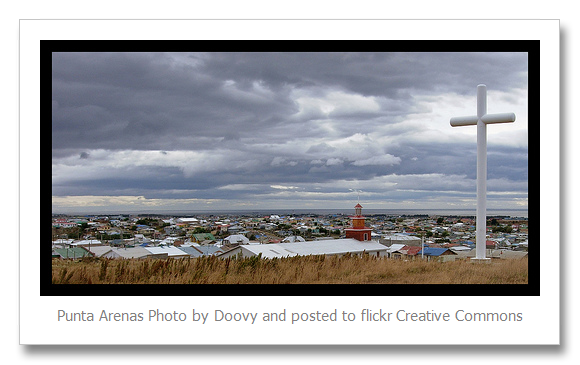 I am hoping to post my next blog from Punta Arenas before we set sail. During the transit I will not have internet access. 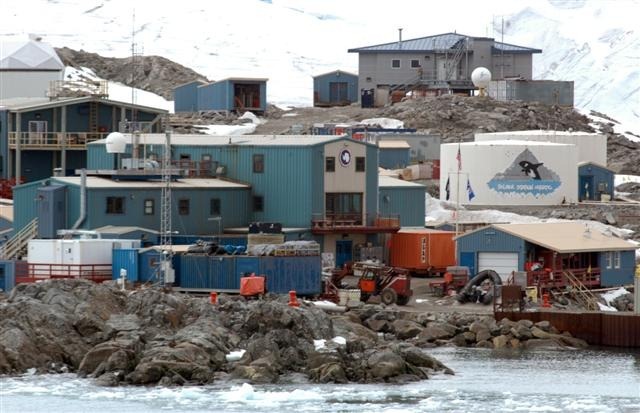 So you will all just have to wait until I arrive at Palmer Station. I heard of the possibility of a “trip” and am glad it is a reality. Have fun and stay warm and I will follow your posts. Take pictures and describe fully because I do not think I will ever get to your destination. Stay warm. I wish you safe travels and look forward to following your experiences on your blog!